So we would like to launch a PPC campaign in Google or Bing and we have not clue which keywords to use. Well, It may sounds complicated at first but, once you finish this post you will have a clear idea of what to do. First of all, you would need to analyze all the words you have on your website so that you can define your business strategy in your SEM campaigns. In order to do so, we can use Google Keyword Planner to check and obtain some keywords ideas grouped by adgroups and campaigns. Google Keyword Planner, is a great way to start since it gives us a lot of useful information and we can even detect if Google understand that our website content is the content we are aiming for and if it is related to our business goal. As well, we will be able to search for keyword trends and CPC estimation for those keywords that Google suggest us. With all that information we can plan our PPC strategy in a more accurate way. Another platforms that give us even more information is Semrush or Wordstream KeywordTool which can give us detailed information of CPC and keywords form our competitors. By complementing this with the previous information gathered, we will have a very strong idea of how to structure our campaigns and adgroups. Which kind of keyword match type should I use? By changing the match type of our keywords, we are able to play with the amount of traffic we receive so we can increase or decrease the quality of our clicks. There are several theories regarding which kind of keyword match type is the most suitable for launching a PPC campaign depending on the business goal. It is impossible for us to tell which is the optimal strategy for every kind of business but we can see a pattern. Generally, the more generic our keyword is the more traffic we will get. Althogh, keep in mind that this might be of less quality than if you use a specific keyword with a exact match type. “Phrase”: Our ads will be shown only if a search term exactly matches our keywords sequence but also it can contain additional words behind or infront our or words. [Exact]: Our ads will be shown if a search term exactly matches our keyword. How do I increase my relevance? If you have just launched a new campaign and do not have data yet, remember that there are certain words such as “Wikipedia”, “free”, “How to”, that most of the times do not bring you any good. We recommend you to create a negative keywords list and add them at the campaign level of your campaigns. Another recommendation is to add then in phrase or exact match term. If you aleady have active campaigns and have data and stats, you should have a look at campaign>keywords and check those keywords which CPA is higher than your CPA goal or which cost is higher than your CPA goal and without any conversion. The third option is to check the search terms that have activated your ads. Within the search term lash, you can find very useful information about how your users look for your products and if you have those search tearms as keywords already or not. For these negative keywords, remember that your ads will be shown for those search terms that are synonyms or similar to those negative keywords you have. For example, if you have [jacket] as a negative keywords and the search term is [coat], you add will be shown. Or if you have [jacket] as a negative and the search term is [jackets] then you ad will be shown as well. Remember that you can also include negative keywords within adgroups in order to increase relevance among your ads. This is very useful when you adgroups are divided by synonyms such as “study” and “learn”. If you have enough budget, you can segment your campaigns by match type so you can have a better control of your new search terms and relevance between adgroups and ads. As well, you will discover how CPC varies depending on the keyword match type and the among of words from that keyword. If your budget is tight, we recommend adding the same keyword with all the match types in the same adgroup or campaign. Or even separate your adgroups by keyword match type. In accordance with what we have said before, the relevance between your ad, your keyword and your landing page is highly important. Therefore, do not forget about your landing page, try that this contains the same words as in your ads and adgroups. With that you will increase your quality score and decrease your CPC with the same ad rank or increase your ad rank with the same CPC. Review your search terms periodically (Once per week if possible) so you can identify new negative keywords or new search terms. Auto Keyword Resarch with automated tools so you can obtain new keywords related to your business goal with no time spended. Review your adgroups and redesign them in smaller groups so you can gain relevance. Create new landing pages so their content can adapt better to your adgroups and ad text. 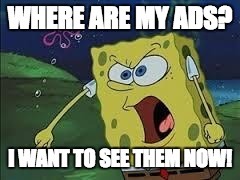 Why Don’t I See My Ads? How to optimize my PPC campaigns’ landing page ? Facebook Ads, where do I start? Automate your Adwords tasks and generate more Sales!